Do you want to access new business? Gain a competitive edge? Are you interested in benefitting from the growing market of those who need better access when travelling...the cash-rich older traveller and those with some disabillity? We work with hotels, attractions, transport, pubs and restaurants and their trade associations. Our approach is to help your business integrate accessibility as part of the mainstream – to deliver good access, good customer service and good information that can work for everyone. Policy development. We work in the UK and Europe, providing advice on developing access policy. Recent clients include The European Commission/The European Network for Accessible Tourism, VisitEngland and VisitScotland. Disability awareness training and toolkits. We develop bespoke training for national and regional tourist boards and DMOs. Audits We have audited towns and cities in the UK including Birmingham, Stratford and Winchester. Marketing We advise on how to promote your accessible destination. Access New Business is a group of experienced tourism and leisure professionals who have a particular interest in helping the industry and destinations benefit from and ‘mainstream’ the growing market of the disabled traveller and the aging population. Keep up to date with news in the field with Brian Seaman's Twitter feed. 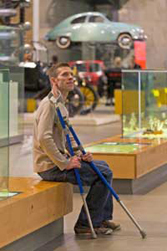 Destinations for All (VisitEngland; July 2016) We wrote this new guide to help destinations improve their accessibility. The guide includes case studies, quick marketing wins and strategies for working with stakeholders. Facility assessment and audit reports for Edinburgh Airport, Dreamland Margate and other attractions. 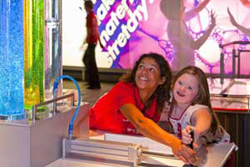 Access for All (VisitEngland; EU-funded; 2014-2015) We project managed the Destination Organisation participation and audited and advised 56 businesses across seven destinations in advance of a national marketing campaign. Visit Scotland. (Ongoing) We are advising on the Scotland-wide initiative ‘Accessible Tourism – Unlocking the Potential’.